Beautiful Washed Green Plumage from Indian Blue Peacocks. 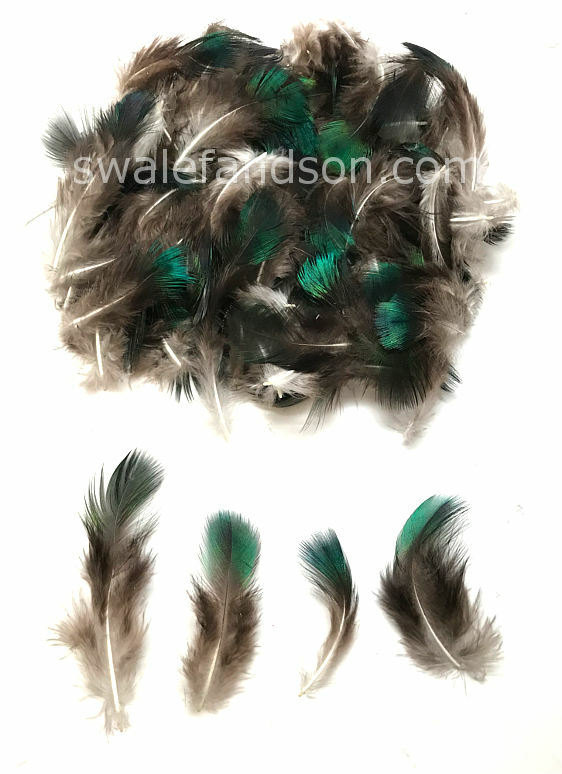 Though popular for jewelry and hair clips, Green Peacock Plumage is most often used for making high end Hawaiian style Hatbands. Peacock Plumage has become increasingly rare, so we do not always have these feathers available.